In February I was fortunate to have a weekend in the beautiful city of Lisbon (celebrating a big birthday!) and as my husband and I enjoyed wandering around the old streets near the castle we came upon this road sign: Seeing those words painted onto the ancient stone wall was for me a visible sign of something very precious and close to my heart. 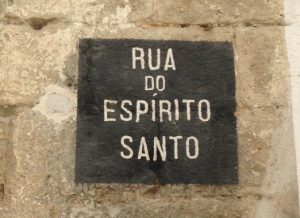 The Road of the Holy Spirit. As I paused a while to think about the words they brought both comfort and challenge. Yes, this is the road I’ve chosen for my life, and it’s wonderful; but how many times do I wander off it? There is an active dynamic to this verse. 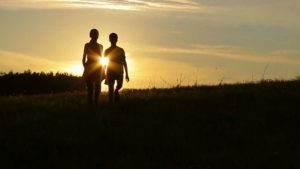 To keep in step with someone means we walk closely to them, paying careful attention to what they are doing and where they are going. We go at their pace. We follow their lead. We walk the same road. 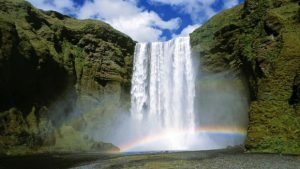 “Whoever believes in me, as the scripture has said, streams of living water will flow from within him.” By this he meant the Spirit, whom those who believed in him were later to receive. The Spirit of Almighty God lives in me! What a wonderful truth! But life in the Spirit is more than just knowing his in-dwelling presence; it’s about an active, daily decision to walk the same road as him, wherever that may lead. So how are we to follow this road? How do we ensure the Spirit is leading us, step by step? How well do you really know the Holy Spirit? He’s not an ‘it’; he’s not an impersonal force or power or influence. He’s a person, part of the Trinity with the Father and the Son, with his own personality and attributes. We can welcome the Holy Spirit into our day every morning and honour his presence in our lives continually. A practical step: Tell the Holy Spirit that you want to get to know him better and start to ask him questions about what things are bringing him joy today. The Holy Spirit is constantly at work in our lives and in the world around us. He is also continually bringing revelation to us. The problem is that most of us are just not very good at paying attention to what he’s up to. We get so preoccupied with all the ‘stuff’ of life that we lose the ability to see the incredible beauty of the Spirit’s words and works and the opportunities he frequently offers us. So to keep in step with the Spirit we have to reorder our priorities and actually slow down enough so that we are attuned to his voice and promptings. The Spirit rarely shouts at us; in fact learning to walk his road means cultivating an internal stillness so that we can recognise his voice and hear his whispers. But wonderful adventures start to open up as we discern those subtle promptings and choose to respond to them. 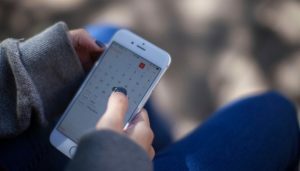 A practical step: put some reminders on your phone throughout the day to stop for a minute and tune into whatever the Holy Spirit is doing in and around you. Getting to know the Holy Spirit and learning to recognise his voice is wonderful, but if we are serious about walking his road and keeping in step with him, then we have to choose to actively follow him. To follow him wherever he might lead us. Being filled with the Spirit is more than just a warm fuzzy feeling; it’s about complete surrender and dependency. Jesus modelled this life of dependency on the Spirit; he modelled for us what it looks like to be completely led by, surrendered to, and empowered by the Holy Spirit. Jesus was not just filled with the Spirit, but chose to be led by the Spirit, and it’s the same journey for us. It’s the daily choice to follow the Spirit and depend on him. Are we letting him be in control and change our agenda if he so wishes? 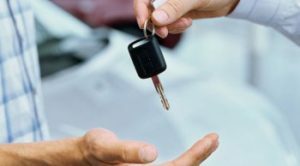 A practical step: as you start your day ask the Holy Spirit to be in the driving seat of your life and picture yourself handing him the car keys. We can never have too much of the presence of the Holy Spirit. We can have too much of lots of good things – food, wine, even water – but there is never ‘too much’ of the Holy Spirit. There are no toxic levels of his presence. It is only our own narrow expectations that limit his presence and power in our lives. A practical step: give thanks every day that your heavenly Father has given you his Spirit and be expectant for more. As you look ahead to 2017 what might it look like for you to more intentionally keep in step with the Spirit and walk his road?